This week we are excited to introduce a very interesting topic, on how we can express our faith at a Christian school. We were able to hear insight from both a student’s and teacher’s point of view. We asked seventh grader Michelle, what is it about a christian school that she likes? She shared that she was glad to be able to be open about her faith at school and be able to go deeper into her faith during Bible class. Then we interviewed the Gr.6 teacher Mr. Derr and asked him a couple of questions about the benefits of teaching at a Christian school as well as sending his kids to a Christian school. He said he likes his kids at a Christian school because they teach the same values and morals that he teaches at home. He enjoys teaching at a Christian school because of the privilege of being able to pray with the staff and the students. He also enjoys the relationship he has with the staff because they are like family. 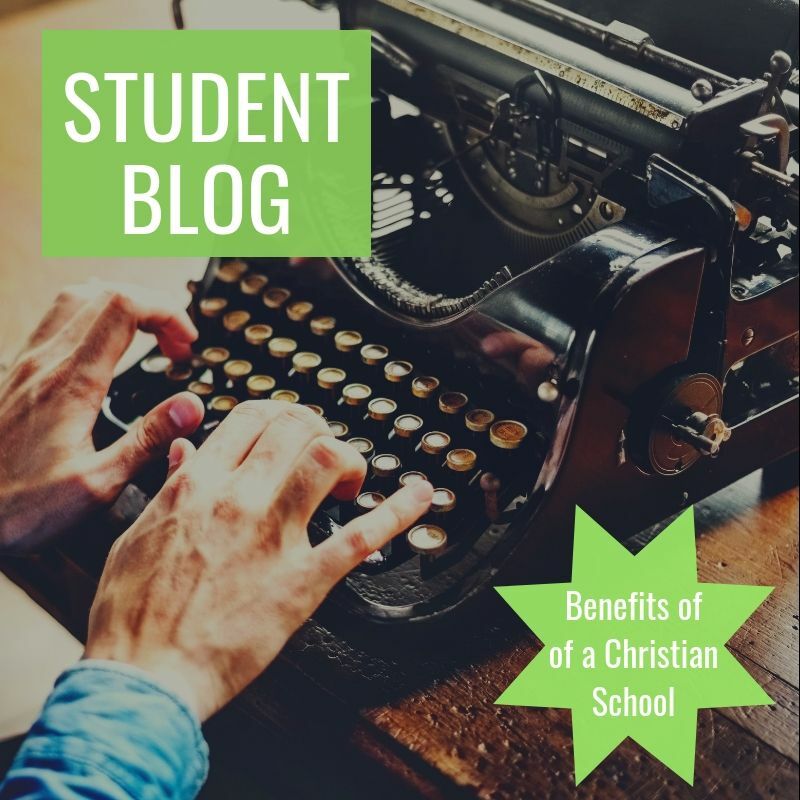 In our opinion, the benefits of going to a Christian school are that we get to share our faith through this blog, through speaking with classmates, through having discussions in Bible class, the opportunity to read scripture and pray with teachers and classmates and also through participation in worship assemblies each month. We are also very fortunate to have the opportunity to go deeper in our faith and talk about the Bible and how it impacts our lives. Have you ever stopped to think about what the benefits are for yourself or your family? It’s been 100 years since World War I and we should really be celebrating and remembering, especially this year. 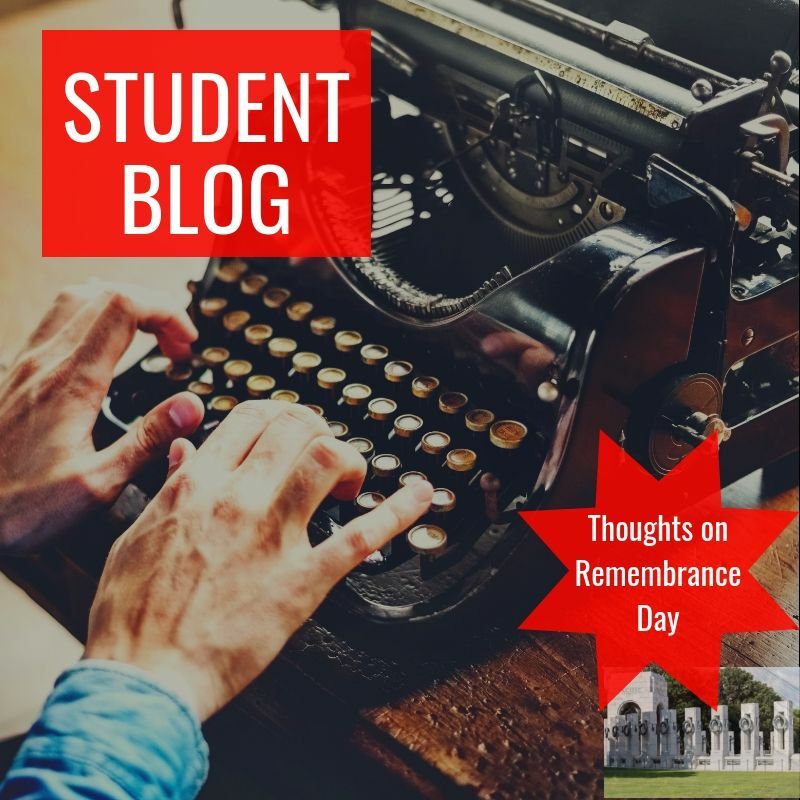 We asked different students and teachers some questions about what they learned from Remembrance Day and their opinions on why soldiers deserve respect. We asked some grade 3 students why it’s good to remember the soldiers and one girl in grade 3 replied, “they fought for us and made sacrifices and that we should respect them because of what they did for us”. 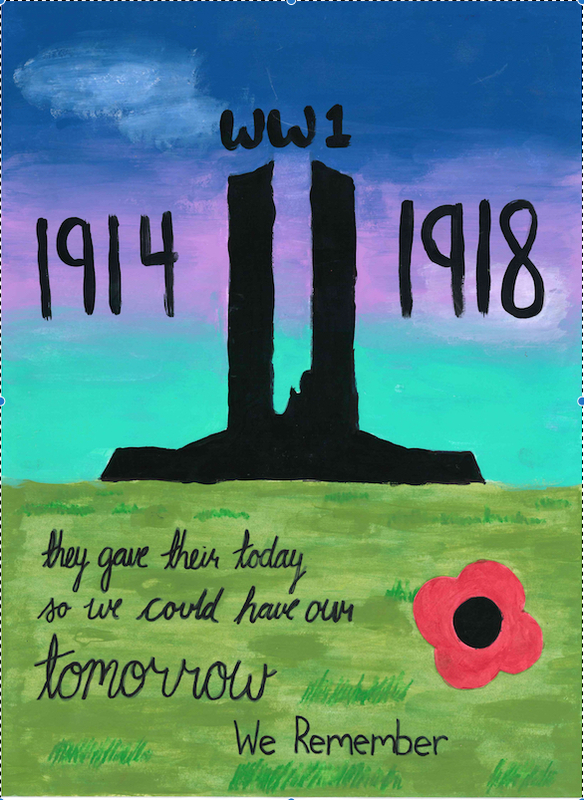 In grade 7 we’ve been learning about the 100th year of the armistice, in other words the 100th anniversary of World War I. We were excited to interview our Grade 7 history teacher Mr. Webb. We asked him why he thought it was important to teach about Remembrance Day. He believes that if we don’t learn from history we’re doomed to repeat it. He also said this year was significant because it is the one hundredth anniversary of the Armistice. We also asked him about the significance of wearing poppies. He said that it’s a good reminder of the soldier. I also learnt that wearing a white poppy meant peace. Our last question was why he appreciates Remembrance Day and the soldiers. He says it’s good to take his focus away from himself and remember all the soldiers who fought and died for us. This year we made posters to remember what the soldiers did for us. This poster was made by Abigail F. in Grade 8. It is always important to remember what our soldiers did for us and continue to do for us. When I think about their sacrifice I’m also reminded not to forget the greatest sacrifice of all, that of our Lord and Saviour Jesus Christ on the cross. He died for us that we would not just have life here and now, but forever in heaven with him. Hello, PCS it’s that time of the year, Grandparents and Special Friends Day! About twenty years ago Dr.O decided to have a Grandparents Day to thank the grandparents for helping at the school. Plus it gave the grandparents a chance to see children’s work. 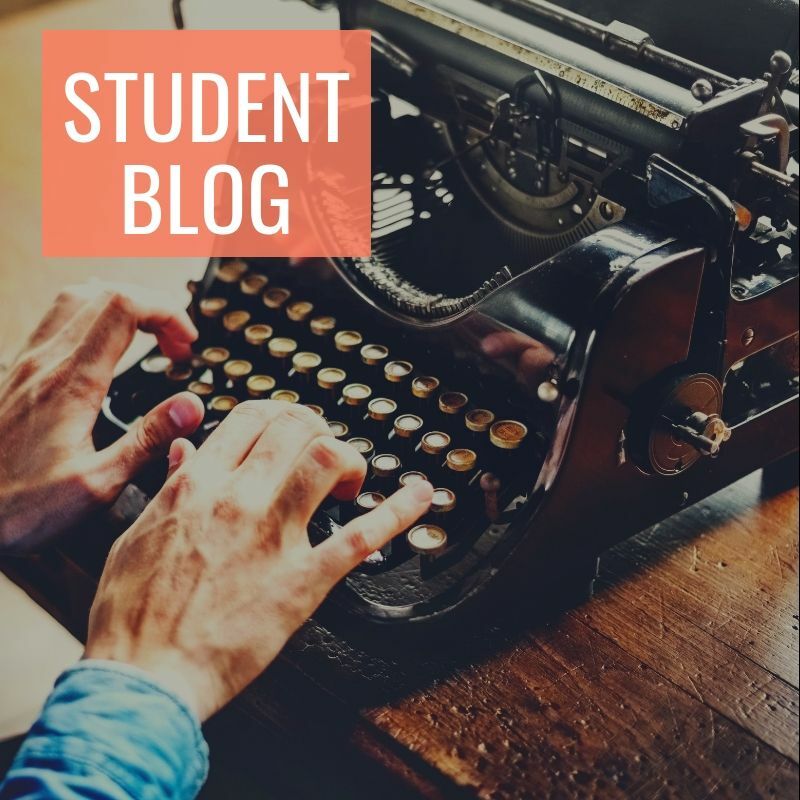 We thought we should interview some of the students about their past and present experiences of Grandparents Day in order to get an inside perspective. The first person that we interviewed was Rachel, a second grader, about her past experiences. She said she had enjoyed getting her picture taken with her grandparents. She continued by saying how it was also fun to have the pictures printed so that she could colour on it and give it to her Grandparents as a gift. Another second grader, Joshua said that he liked it because he got to show his school work to his grandparents. Ria also loved to do arts and crafts for her Grandparents. The Gr.4 class enjoyed doing special projects for Grandparent Day. They also said they loved performing songs in the gym on grandparents day. This year they played the recorder as their special performance to their Grandparents. We personally love this day and hanging out with our grandparents and special friends. We remember last year doing fun trivia and battling for sour keys in different activities with Mr. Derr. We had fun hanging out with our grandparents even though they beat us at the trivia. We also remember back to our first Grandparents day in JK and doing colouring sheets to give to our grandparents and special friends. This year’s Grandparents Day wasn’t any different as we started working with our grandparents / friends on a project. One thing that did stay the same was the thoughtfulness and love of all the grandparents and grandkids. We know that many memories were made during this year’s Grandparents Day. Also a student in grade 7 said he was glad that his grandparents had come since he usually only sees them once or twice a year. Each grandparent and special friend that we interviewed was glad to come down and create more memories. Dr. O loves this day because he gets to meet the grandparents and special friends who support the school,and he also says because he loves hosting this fun event with great food and music. He ends with, “ It feels like a giant family’’. A big thank you to the volunteers who gave their time to make this event a success. From parking and cooking, to setting up and cleaning, the event wouldn’t happen without all the hard work prior, during and afterwards. We also want to send out a special thanks to Mrs. Ullman and all her hard work she put into the performances. Can’t wait until next year’s event to once again make memories and spend time together as a family. Are You Ready for the Walk-a-thon? Let’s get excited for this year’s walkathon! All the fundraising, crafts, and prizes are a great way to start the first big event of this new school year. Not only can you do crafts and have fun, but you can also win prizes when you raise 150 dollars or more! Walkathon is on a Saturday this year, this Saturday October 13th in fact, so this is a good chance for your parents to come and meet your teachers. There’s a lot of benefits to donating to walkathon. Most of the money goes back to the students in ways like buying new Smart Boards, Gym equipment, and more educational equipment for us learning students. As you may know our theme this year is R.O.C.K, meaning Reaching Out Into Christ’s Kingdom. So when we interviewed Mr. Park he said some of the money will be going to support a mission. Here’s some info you might want to know. It will be held on Saturday October 13 starting 9:00 am at Westney Heights Baptist Church in Ajax. It will start with bagels, juice, and snacks and also coffee for the parents. If you’re in JK or SK you’ll be walking 2 km and if you’re in grades 1-4 you’ll walk 4km and if you’re in grades 5-8 you’ll walk 6km. But don’t worry we’ll stop along the way and do some fun activities. That’s all you need to know about this year’s Walk-A-thon! Thanks for reading and don’t forget to find some sponsors!